New York, USA – October 17th, 2018 – Witbe, the leader in Quality of Experience Monitoring, is proud to announce its latest video algorithm: Witbe Video Quality Incident Detection, or VQ-ID. 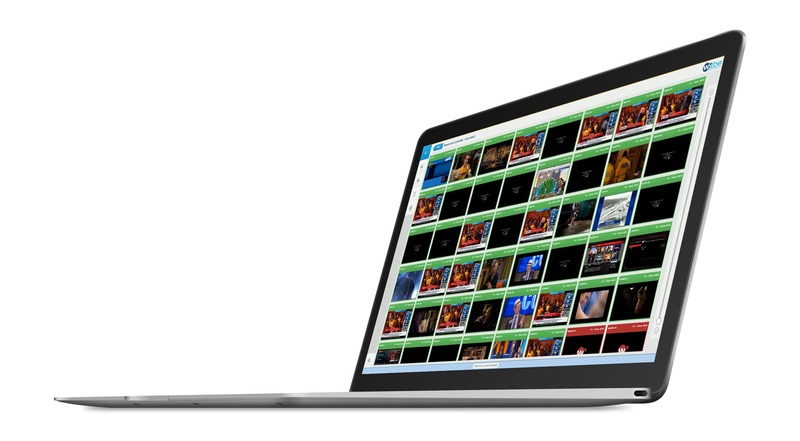 This powerful new video algorithm is capable of detecting every major video and audio incident. It is the result of ten years of experience in video quality algorithms that started with Witbe VQ-MOS (Video Quality Mean Opinion Score), the first of Witbe video algorithms, aiming at measuring the quality of a video stream, as it is perceived by a human. Now, customers will also have the possibility to receive real-time alarming of video and audio incidents. After announcing Witbe Datalab at IBC last month, a unique web application displaying stunning visual reports from Witbe Robots data, Witbe is thrilled to release this algorithm just in time for its last two major trade shows of the year: NAB in New York this week and SCTE Cable-Tec in Atlanta at the end of the month. Witbe VQ-ID takes real-time monitoring of Quality of Experience to another level. Natively integrated into Witbe Robots, it focuses on detecting severe deterioration events, such as macro blocking, video upscaling, frozen images or uniform screens, error or no broadcast frames, and even saturated audio or absence of sound. The alarms raised 24/7 by Witbe VQ-ID on every device connected to a Witbe Robot are then displayed in real-time in Witbe Remote Eye Controller to enable NOC teams to take action as soon as an issue is detected. And because VQ-ID KPIs are natively integrated to Witbe Datalab, at the end of the analysis, customers get the full report of the analysis and are able to understand if major incidents have happened, or shorter significant ones, enabling Engineering teams to truly improve the quality of their video services. Finally, Witbe VQ-ID also computes the amount of time a video was “clean”, and the minutes where it detected major video and audio degradations such as macro-blocking, blur, and saturation, to give Marketing teams and managers high-level KPIs. Marie-Véronique Lacaze, Co-Founder, President & Chief Executive Officer of Witbe comments: “We are happy to announce this new algorithm for our last two shows of the year. We are eager to unveil it, as it is a feature our clients had been waiting for: real-time alarming for video and audio incidents. Our R&D team has been working hard on this algorithm for the past couple of years. Our customers will now be even better equipped to deliver the best Quality of Experience to their end-users. If you would like to discover our new Witbe VQ-ID, we are happy to give you a demo at either NAB New York (booth N1160), or at SCTE Cable-Tec Atlanta (booth 2415)”. For customers who already have Witbe VQ-MOS, they will now have the KPIs from VQ-ID when running a VQ-MOS analysis. For others, VQ-ID will be available with the new Witbe Suite 6.2 upgrade (contact your favorite Witbe sales representative for more information)! Leading innovation in the Quality of Experience (QoE) industry, Witbe offers an award-winning approach to monitor the Quality of Experience actually being delivered to the end-users of any interactive service, on any device, and over any type of network. Combining hardware and software, Witbe’s state-of-the-art technologies have already been adopted by over 300 clients in 45 countries. Telecom operators, broadcasters, application developers: all rely on Witbe to improve the experience they offer to their customers. Founded in 2000, Witbe has offices in Paris, New York, Denver, Montreal, London, and Singapore.